This weekend we visited Nana and Boppa. 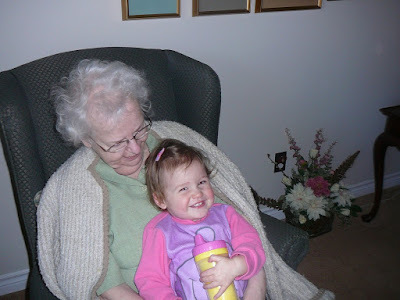 The time together was much appreciated by all, perhaps mostly by Rosie, who is getting more smiley and more outgoing each day. 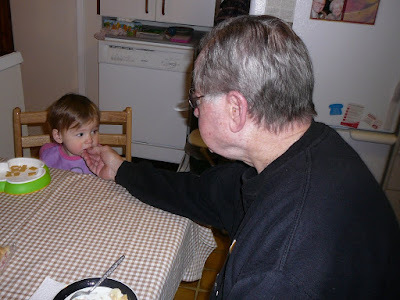 She loved the moments with her great grand-parents, the cuddles and the food. William also had a great time, he's just continuing his camera strike. Keep a watch out for how I trip him into getting his picture taken without him knowing it! Thanks for the great weekend Nana and Boppa!